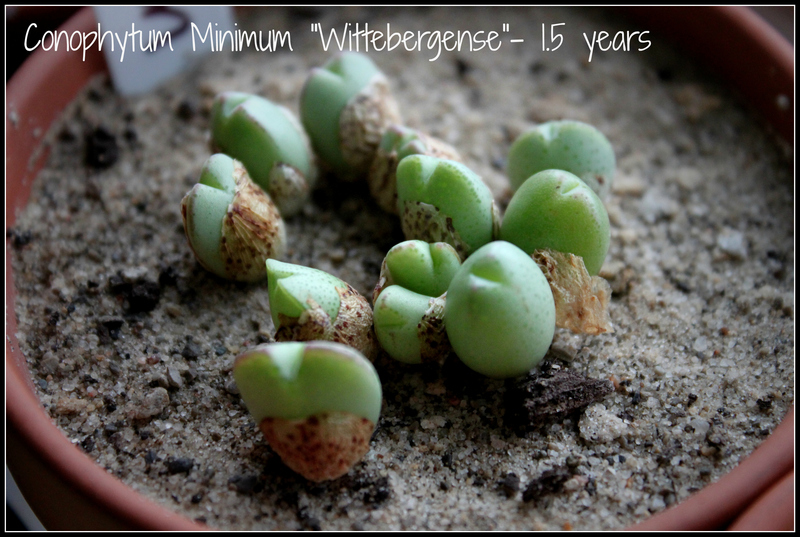 The Conophytum Minimum ‘Wittebergense’ are a year and eight months old and are looking fantastic!!! One of the plants divided this summer so I think they are doing very well. Maybe there will be flowers this year? Fingers crossed! 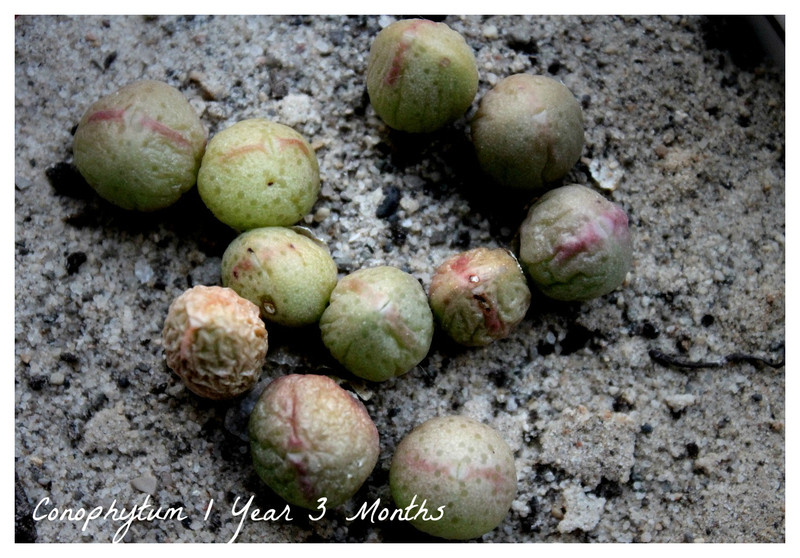 The Conophytum Ursprungianum babies from 2015 have finally shed their baby leaves. 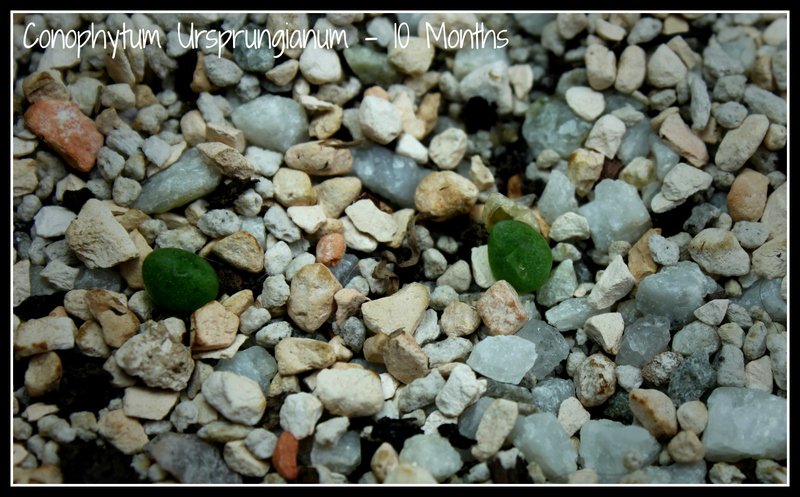 I’ve ended up with only two and I blame the change in substrate; I think it was too course for the tiny seeds. Anyway, the two I have are perfectly beautiful and I look forward to watching them grow. Oh my goodness! 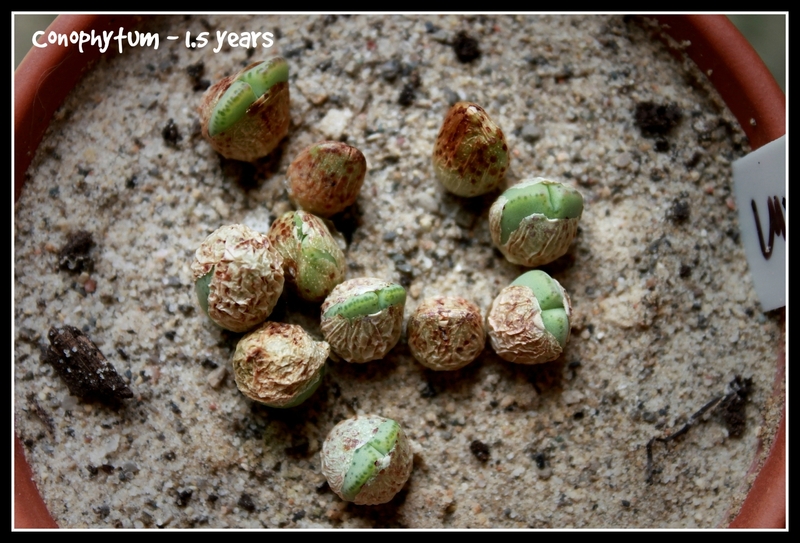 I’m soooooo excited (yes, I’m a botany geek)!!! 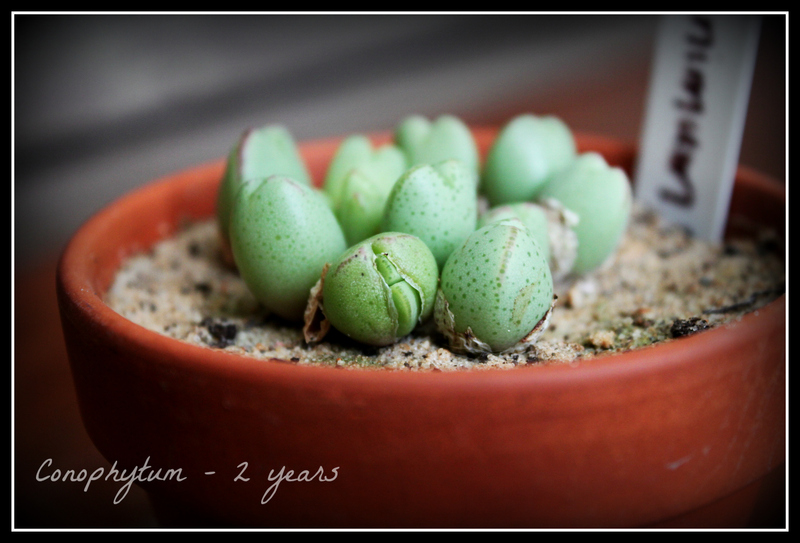 The conophytum have come back to life and they look perfect! I was so skeptical but everything I read was true. They shrivel up to nothing over the summer (seriously, they were just dried up paper sheaths and I was ready to dispose of them) but come back to life with the first watering of Fall!